The additional money is needed to cover estimated increases in construction costs, according to county Supervisor Johnny Cribb. While all available CHATS dollars through 2022 have been spoken for, unobligated funds from fiscal year 2023 will be available, in time to be applied before the projects completion. The CHATS policy committee unanimously approved study and Berkeley-Charleston-Dorchester Council of Governments Executive Director Ron Mitchum’s recommendation to have staff identify the money for the 2023 Transportation Improvement Program (TIP). Mitchum said the action would provide a reasonable assurance of funding availability to the County, SCDOT and FHWA, allowing the project to move forward. 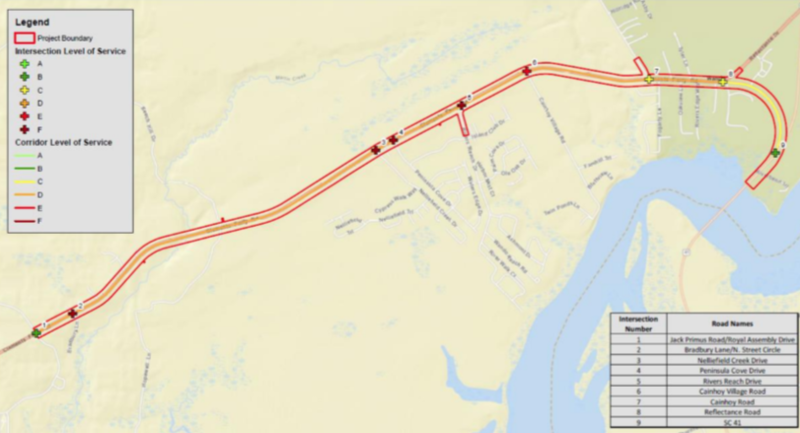 Construction on Clements Ferry Road Phase II, which stretches from Jack Primus Road to S.C. Highway 41, is expected to begin in early 2020, with an anticipated completion of spring 2023.